Sheesh, it’s been a hot minute, hasn’t it? I wish I could tell you that I’ve spent the past 8 days eating wonderful things, taking photos & grasping for a spare moment to share them all with you. Unfortunately, that is not the case. Not that I haven’t eaten well over the past week, it’s just that I didn’t even document my eats. So sorry! 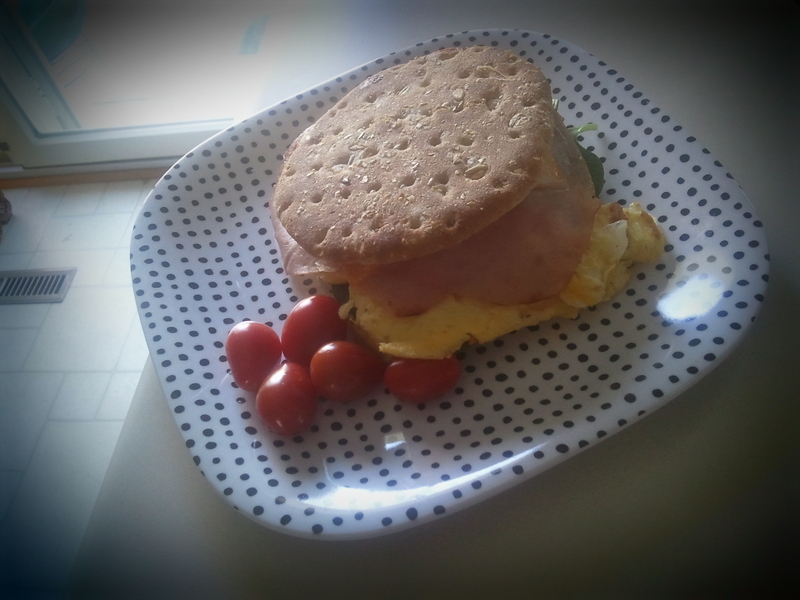 One pic of my breakfast today, just for WIAW. After my post last Tuesday, I started cleaning our office. If you’ve ever seen our home office, you’ll know that this is not a project than can be completed on a Tuesday afternoon before heading into work. You see, our office is right across the hallway from our laundry room closet. Which means that when we’re doing laundry but not home long enough to see a load through washing, drying, & folding (ie: pretty much all of the time), our unfolded laundry just sort of gets shoved into the office. Since we both have laptops, our computer desks aren’t really a necessity so they are just sort of a resting place for things we don’t know what to do with when we’re tidying up. That being said, I hadn’t seen my desk top since we moved into our house nearly 2 years ago. Unfortunately I don’t have any photos to document this disaster but needless to say, my office cleaning project also took over my entire Wednesday evening & part of Thursday morning. 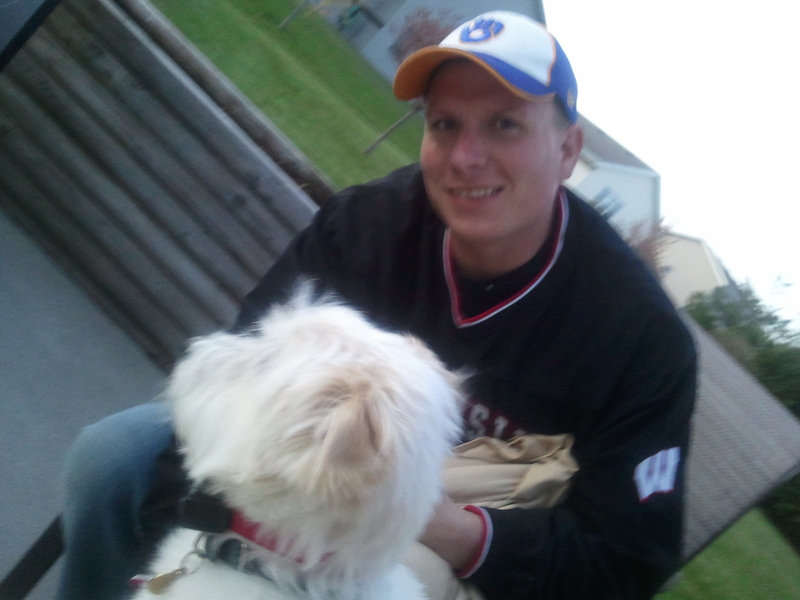 I got home from work at 3:30 am Friday morning & we had friends over to watch the Brewers home opener that afternoon. We cooked out, soaked up some warm sun, & had a few cocktails. Not wanting the day to end, we (hubby, Fielder & I) stayed outside until every last ounce of daylight had gone. This meant I had to get a blanket & drink some hot coffee with Bailey’s but it was enjoyable nonetheless. I worked all day Saturday. I literally did not sit down other than to eat lunch at work and drive to & from work. Dinner was eaten standing in the kitchen while I whipped up a couple batches of cupcakes for our Easter day at Miller Park. I tried a gluten free recipe & it was a total fail. I had a backup batch in the back of my mind & ended up needing to throw them together. They were a chocolate cupcake with salted caramel frosting & Heath bar garnish. I know they sound fantastic but they were just okay. I’ll tweak the recipe a bit & share when I get it right. 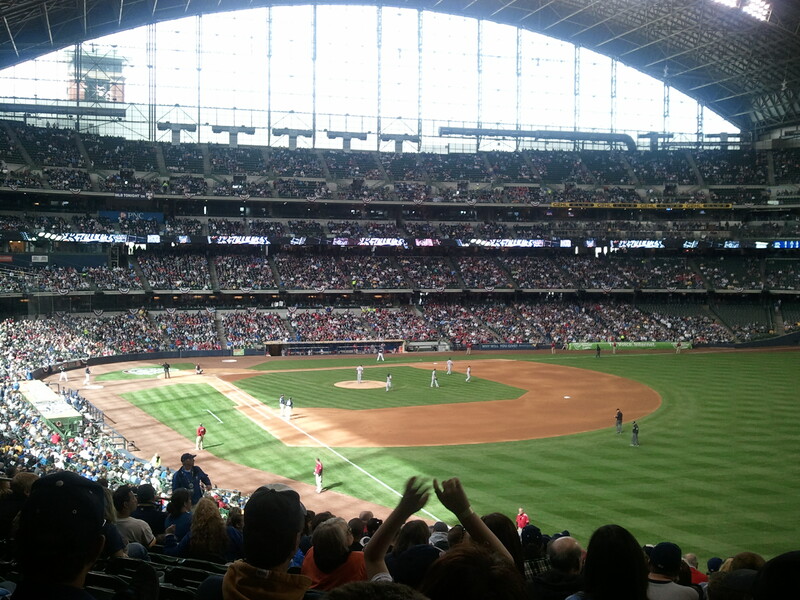 We spent Easter Sunday with my parents & a big group of family friends at the Brewers game. We had a really great time, as usual, & we’re super stoked that baseball season is finally here. I only snapped a couple photos at the game. 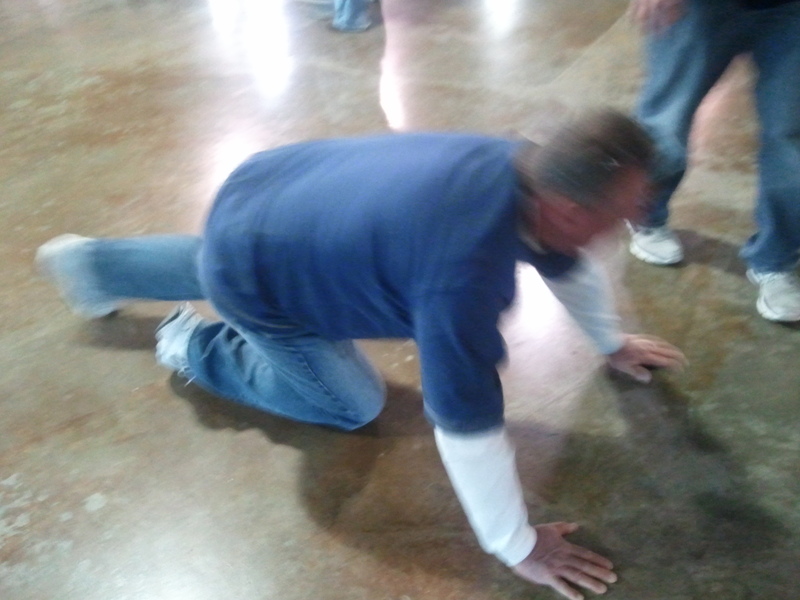 My dad doing push-ups? I have no idea. Give this guy a few beers & he’ll do just about anything. 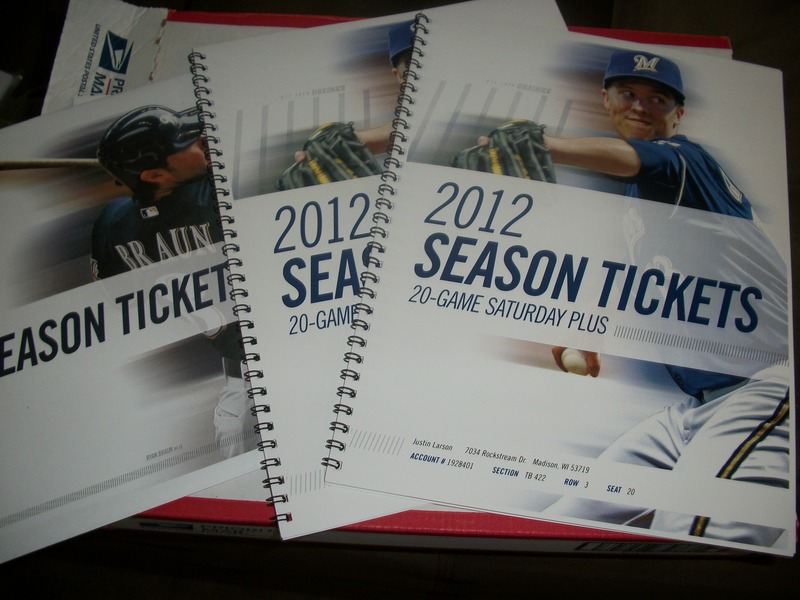 Hubby & I actually decided to get season tickets to the Brewers games this year. We went with a 20 Game Saturday Plus Package, which means the majority of our tickets are for Friday/Saturday games but also include a few weekday games. We know we won’t be able to attend all of the games (in fact, our first tickets were for this past Saturday but we opted to sell them since we were already going with a group on Sunday) but we plan to sell the extras via Stub Hub or word of mouth, which shouldn’t be a problem at all. I was so excited when this showed up in the mail! So far this week I’ve been figuring things out for my upcoming summer & fall classes and working, of course. I’m planning to try cauliflower pizza crust again tomorrow so I’ll keep you posted! How was your Easter? 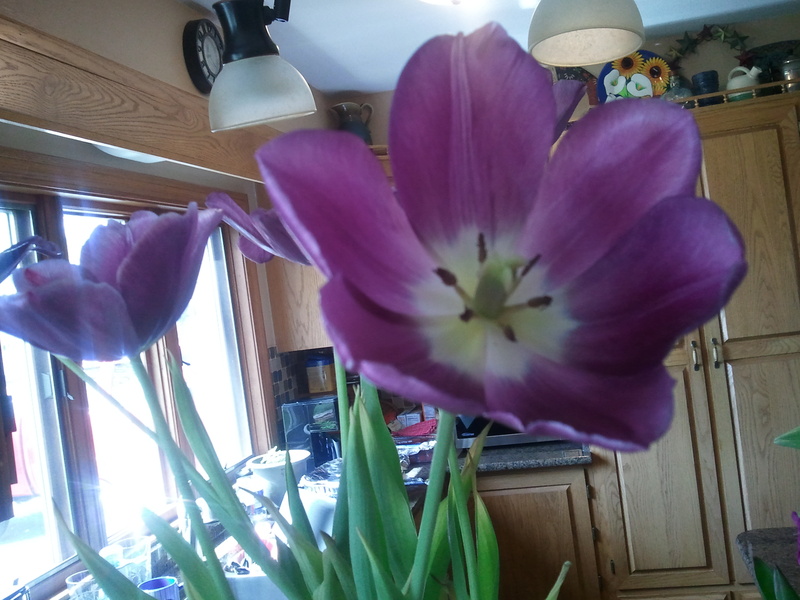 Do you celebrate the holiday or was it just a regular weekend for you? We normally celebrate in a more traditional way, with family & a nice big dinner, etc. but it was really fun to do something a bit different this year.